I dye my own fabric; I sew my own seams. My intricate patterns all come from my dreams. That makes it a “keeper” not a reject. Pat's award winning work has been shown throughout Washington State and the rest of the country, including Hawaii. 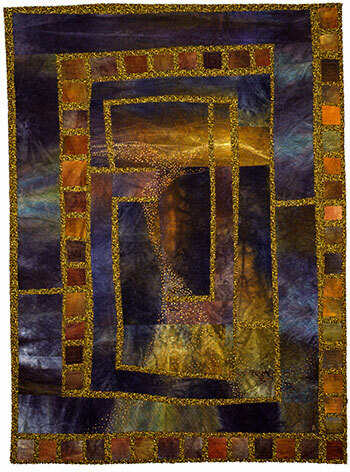 She has had work juried into the prestigous Quilted Surface exhibition three times. Her work was also seen in the international European invitational Color Improvisations curated by Nancy Crow.